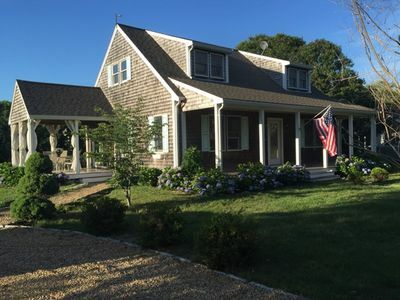 Charming Cape nestled in amongst mature trees, maintained lawn and native plantings on 2 secluded acres at the end of a cul de sac. 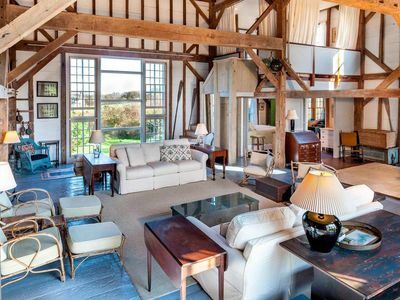 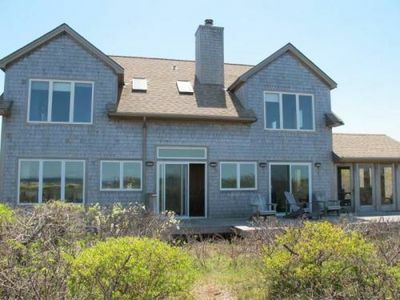 Private setting yet central and convenient mid-island location abutting miles of hiking trails and bike paths. 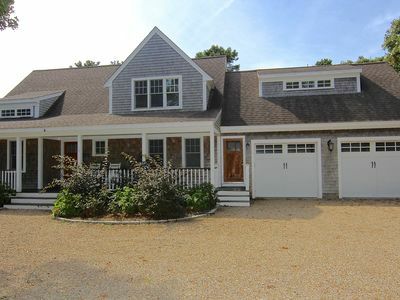 Beach Sticker allows access to Lambert's Cove Beach and West Tisbury village is just minutes away. 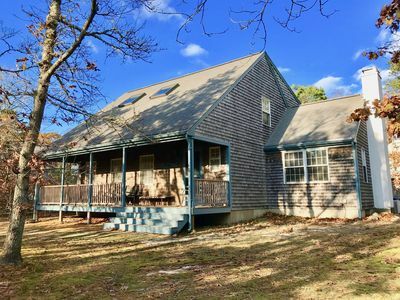 Great family home to enjoy an open floor plan with a fully renovated and equipped kitchen, comfortable dinning table for 6 and large sectional sofa to sit back and enjoy the AV equipment with surround sound in the living room. 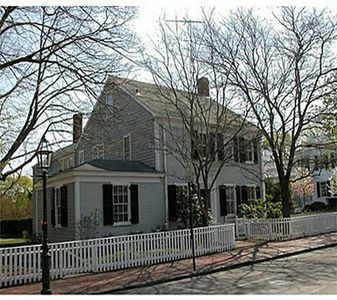 There is also a half bath recently renovated. 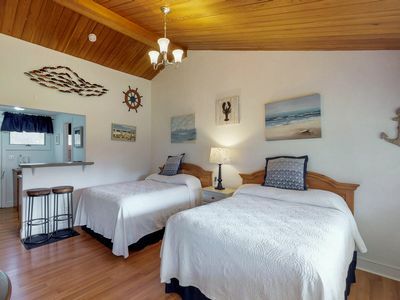 Bedrooms and 1 Full bath are located on the second floor. 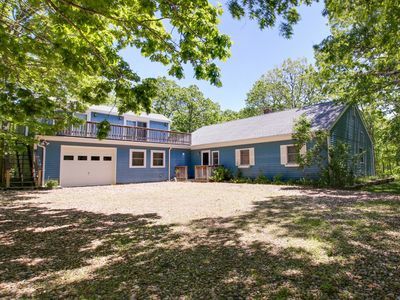 Outside you will find an enclosed private shower, the patio for grilling or relaxing at the teak table under the shade of the oak tree. 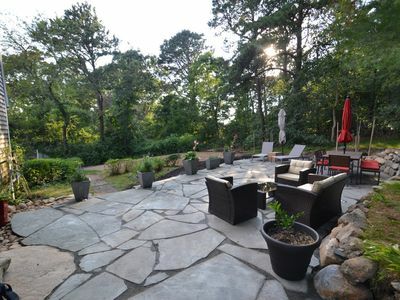 or you can choose to lay back in the hammock and enjoy the natural surroundings. 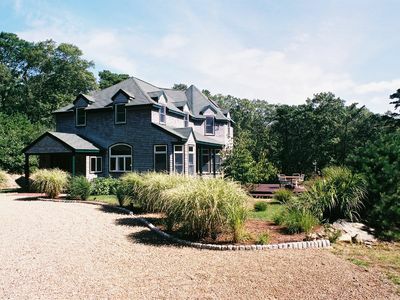 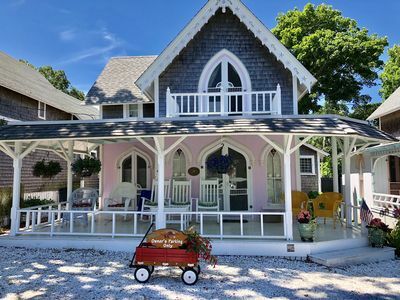 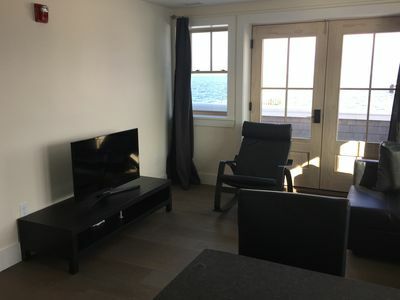 Oak Bluffs Gingerbread Cottage near Downtown, Beach, Ferry and Ocean Park! 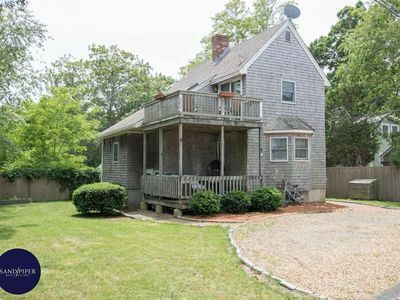 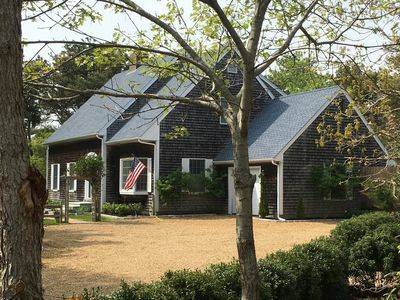 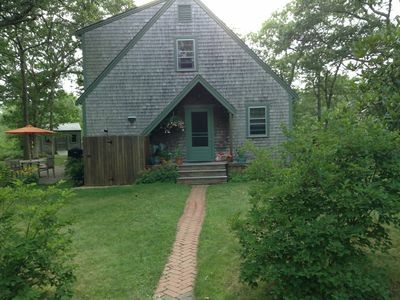 Large, Charming Vintage Cape Cod Cottage, 2 Blocks to Town and Beaches! 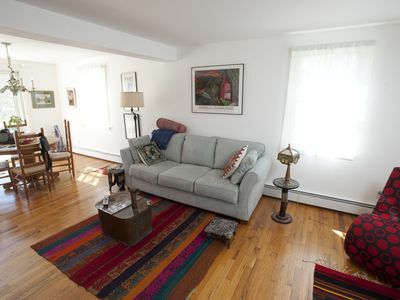 Secluded home in quiet neighborhood near bike paths & Morning Glory Farm! 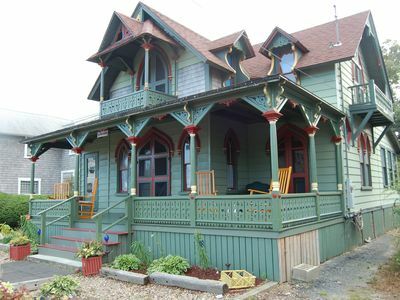 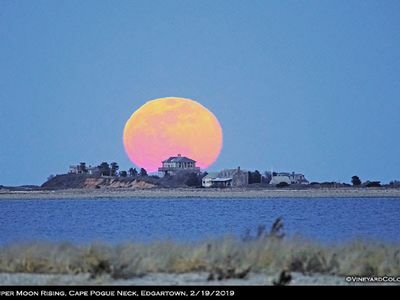 Oak Bluffs: East Chop! 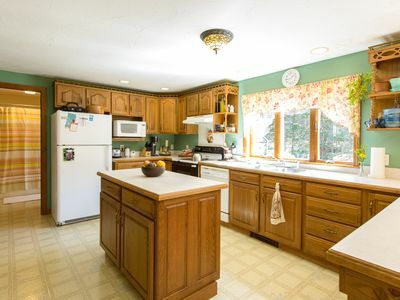 Year Round 3 Bedrooms/2 Baths. 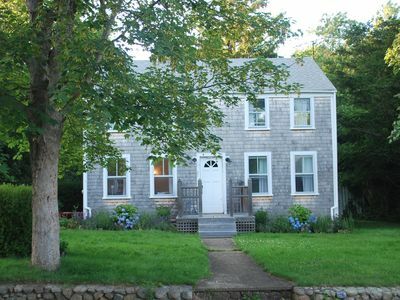 Walking Distance From Oak Bluffs Ferry Terminal With 180 Degree Ocean View.